Today HyperX has announced that it has started to ship its Pulsefire FPS Pro RGB gaming mouse. 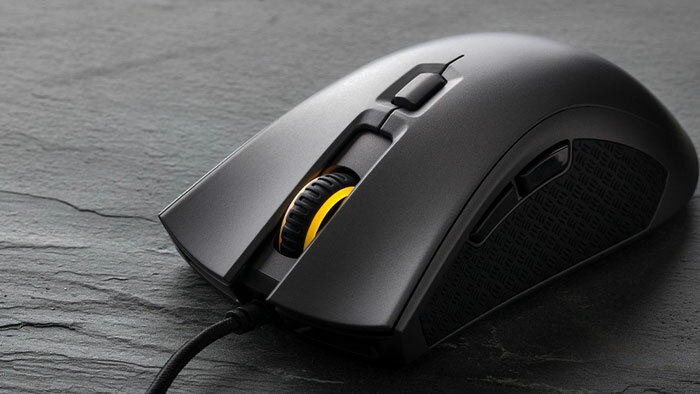 From its name you know that this mouse has been designed for FPS games players and offers RGB LED lighting. Other not so obvious product highlights are the Pixart 3389 sensor, premium Omron switches with 20 million click durability, six programmable buttons, and onboard memory to save up to three custom profiles. 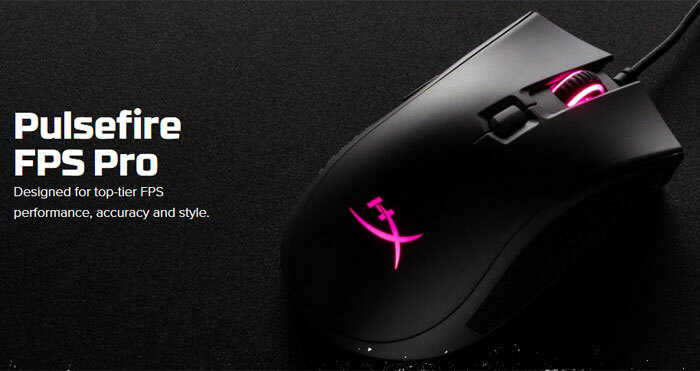 HyperX, the gaming division of Kingston, now has three Pulsefire mice in its stable; the new Pulsefire FPS Pro RGB, the Pulsefire FPS, and the Pulsefire Surge. The newest HyperX Pulsefire FPS Pro RGB is the highest end mouse yet, with an updated sensor, the Pixart 3389. Thanks to this key component the Pulsefire FPS Pro RGB can provide three DPI presets from 800, 1,600, and 3,200 DPI all available at the touch of a button and customisable native DPI settings up to 16,000 DPI. Importantly the HyperX FPS Pro RGB includes on board memory so that it can store those custom DPI settings and programs for its six buttons. Users take advantage of the HyperX NGenuity software for advanced tools that can adjust sensor performance, macros and DPI settings. 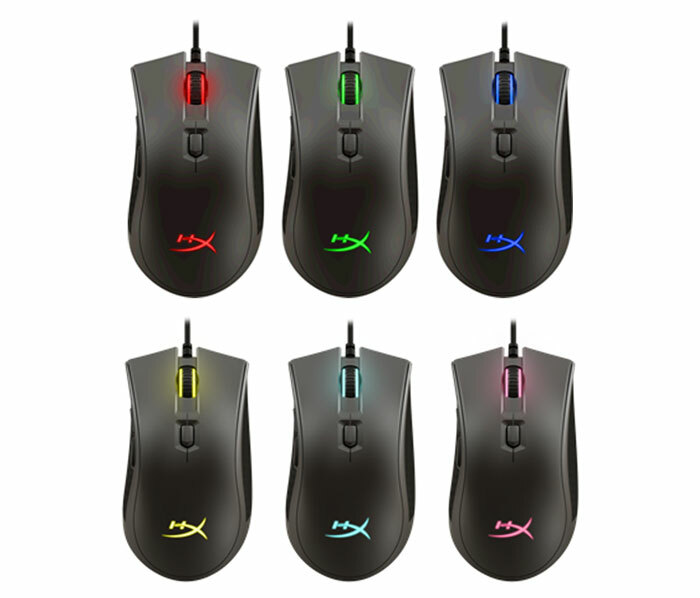 Turning to the RGB lighting capabilities, the new mouse has just one programmable lighting zone with four brightness levels. Again you will use the NGenuity software for LED lighting and RGB customization of the mouse wheel and HyperX logo. Other key features of the HyperX Pulsefire FPS Pro RGB gaming mouse are its comfortable ergonomic design (the same shape as the older Pulsefire FPS), the extra-large mouse skates for smooth gliding, the 1,000Hz polling rate via USB 2.0 connection or better, its 1.8m braised cable, overall weight of 130g, and mouse body dimensions of 127.6 x 41.9 x 71.1mm. The HyperX Pulsefire FPS Pro RGB gaming mouse is available now for US$59.99 / GBP£49.99.